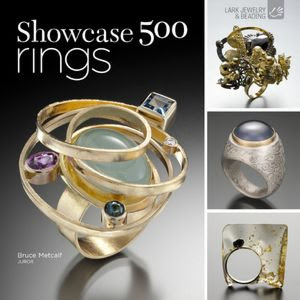 Showcase: 500 Rings is now available for pre-order on Amazon. My work Mnemochronology No. 4 will appear in the book, which will be released on 1 May. This is the first book in the redesigned 500 series from Lark Books The "Look Inside" feature is now enabled on Amazon, so have a look! What a beautiful book Mel, congratulations. I've already ordered it! Thanks, Suzanne! I hope you enjoy the new book!